I've been carrying this folded up note and sewn pocket tissue holder for the better part of 10 years. 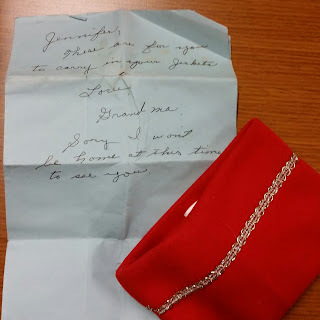 My grandmother wrote me the note almost 20 years ago and when I was younger I never really carried around tissues. But now I do and stuff them in the little sleeve she gave me.